It took a few extra days, but we finally have the sales numbers for last Wednesday and Thursday’s online exclusives, including one controversial card. Today Topps revealed the print runs for Garbage Pail Kids Trumpocracy 2017 #14 and GPK Network Spews #60, #62-#63. 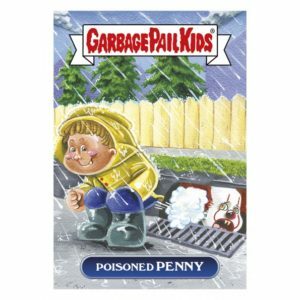 Perhaps not so shocking is a new record low was set for GPK online exclusives. Network Spews card #60 only sold 76 copies. This is the first card to finish under 100 copies sold. 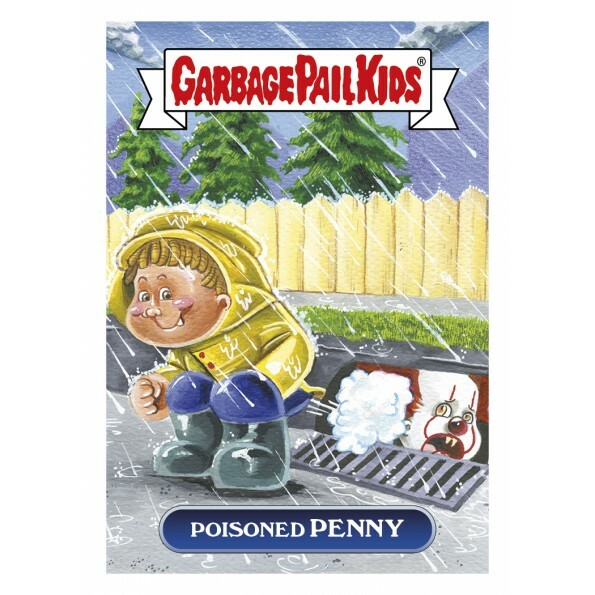 The card caused much controversy among GPK collectors this week, as many collectors questioned the quality of both the gag and the art. The artist of the card, which appears to have been digitally created, has not be revealed. Clearly, sales of the card were affected, as the card sold over 30 less than the previous record low. The news for the other GPK cards was still not great, as sales continue to lag. Here are how the sales ended up for the cards offered last Wednesday and Thursday.